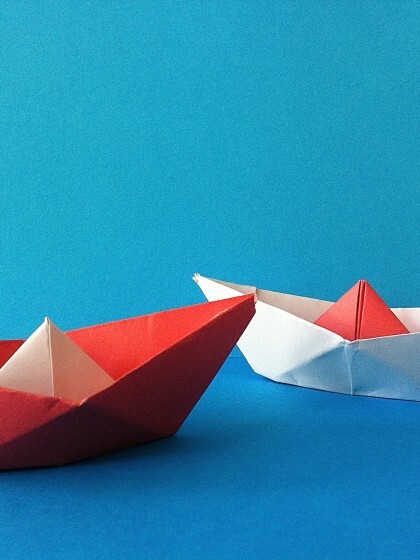 We have compiled a little summer reading list with five of our favourite children´s books. Number 1 has been “Backe backe Kuchen”, about playing with sand. 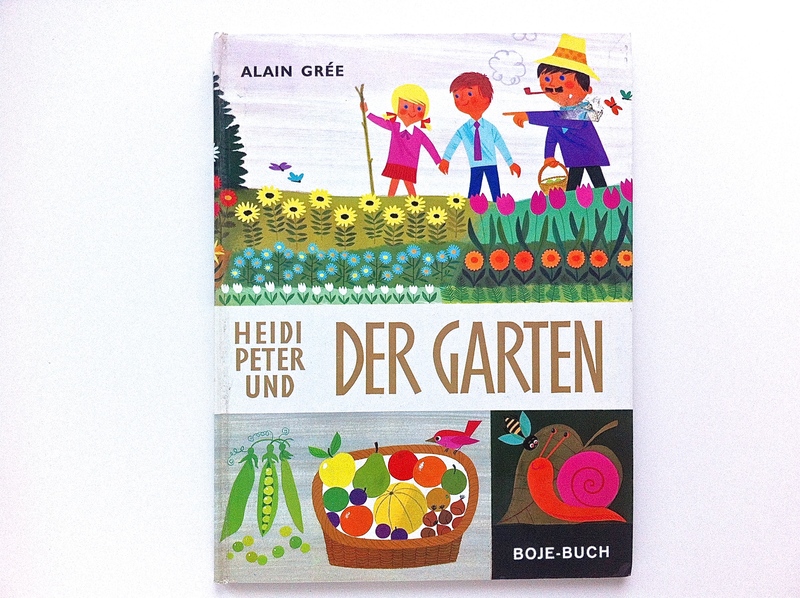 Number 2 on the MAKI:minimag summer reading list is “Heidi, Peter und der Garten” (Heidi, Peter and the garden) by French illustration hero Alain Grée. 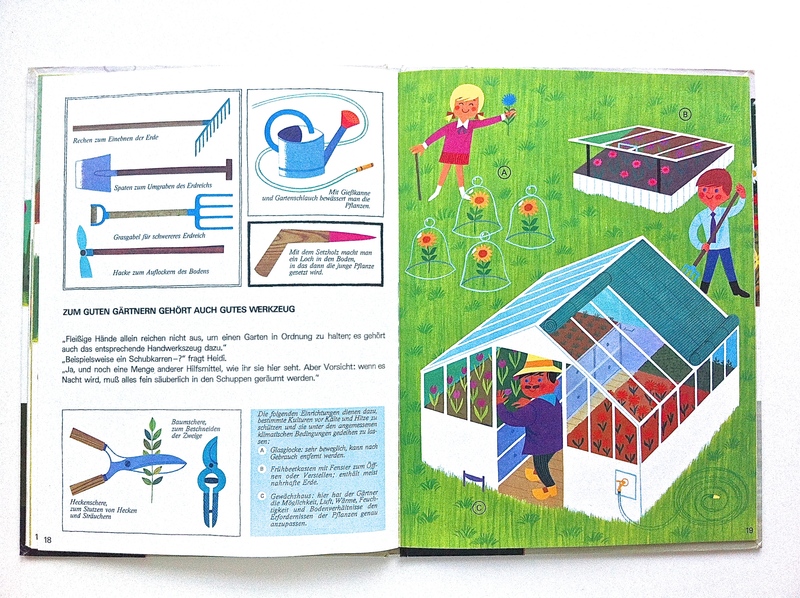 It is about Heidi and Peter visiting their uncle Bertram and his garden. In beautiful colours Grée shows sorts of flowers in the garden, the different trees, tells about the vegetable garden and how you care for it. It shows the animals that live in a garden and features a little picture story about how an apple becomes a tree becomes an apple again. 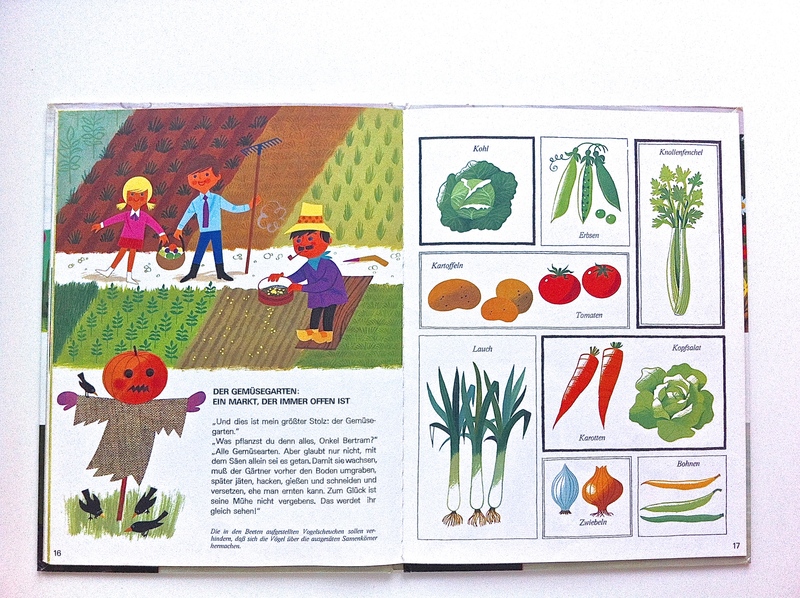 We love these vintage illustrations in bold 60/70ies colours and their naivety of form. 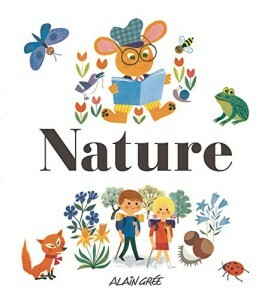 There are other books of Alain Grée (which are available in English) which are great for a summer reading list. 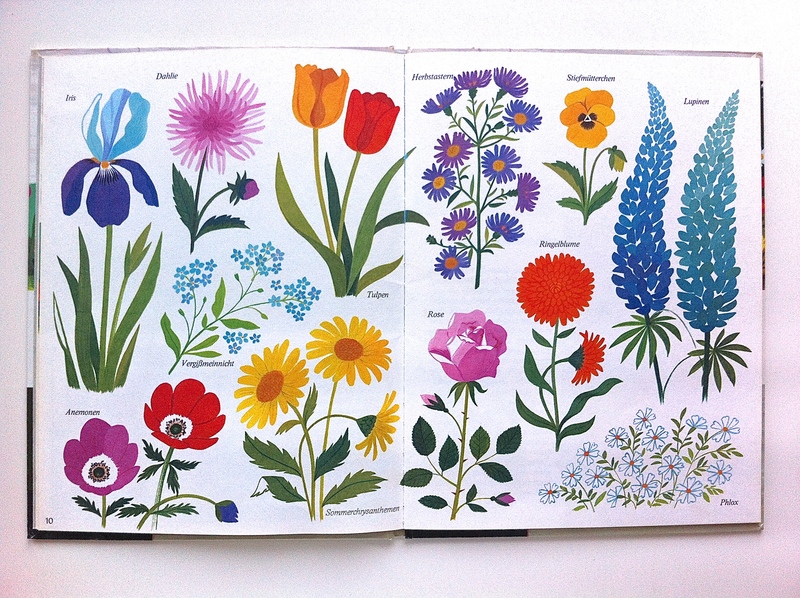 There is “Nature”, a compilation of books, including, amongst others, ‘On the farm’ and ‘In the forest’. 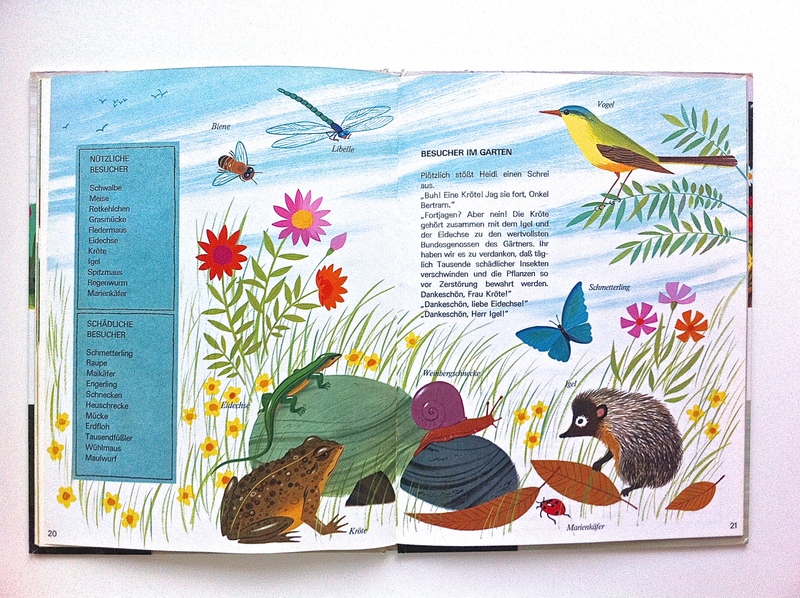 In simple words it tells children about the different flora and fauna they might find in a range of environments. And there is “Seashore” about a trip to the beach. 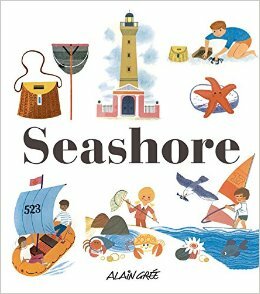 Paddling in the shallows, building sandcastles, exploring rock pools and playing games on the sands are just some of the adventures in this charming book. Brought to life by Alain Grée’s superb nostalgic illustrations from the 1960s and 70s, the book will delight children and grown-ups alike.